House roof asphalt shingles maintenance process can be divided into three steps and performed twice a year – fall, and spring (unless you notice something alarming in between the roof maintenance checkups). This will give you a more complete picture of the asphalt shingles roof condition, even if it is a brand new roof – trust me. Put this task on top of your house maintenance exterior schedule, as soon as you spot a problem, don’t delay any repairs – do it before you start remodeling interior of your property. Amount of the required house roof asphalt shingles maintenance depends on the property surroundings, roof shape, shingle colors, quality of the workmanship, attic or cathedral ceiling ventilation, your geographical location, etc. If you have a single story home, the safest (but limited) method of inspecting asphalt shingle roof surface would be from the ground, preferably with a pair of binoculars . Inspecting asphalt shingle roof from the ground has significant limitations / because of the angle you’ll be looking at the roof surface, and detailed evaluation will not be possible. However, before you climb up the roof or start making any repairs, try to visually memorize any “out of ordinary” areas observed from the ground, continue to Step 2 to ensure that there’s a solid decking beneath the shingles, and come back outside to compare your observations. or anything that simply put – doesn’t look right. If you think that there is no more room for asphalt shingles maintenance, consider new roof – if you’re from IL, click the link to get Illinois replacement roof cost using my calculator. Pay special attention to the valleys on your asphalt shingle roof because they tend to deteriorate much faster than open / flat surfaces. 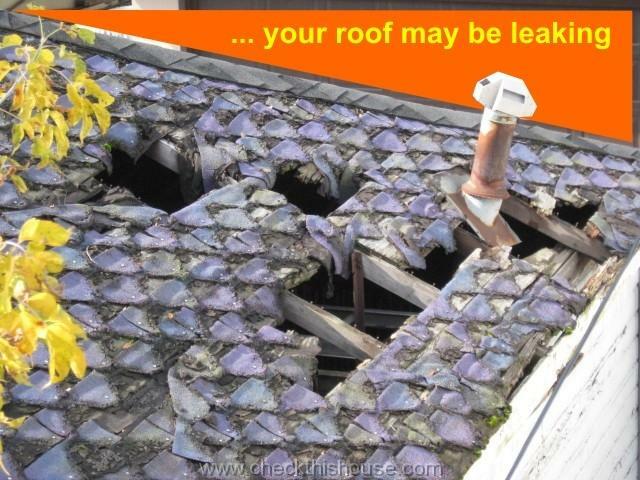 Especially if you let debris and leafs accumulate and decompose for a few seasons inside the asphalt shingle roof valley. Also, carefully inspect flashing around the roof penetrations – this includes the chimney, plumbing vents, skylights, and anything that is attached to the roof or penetrates the roof asphalt shingle roof surface. There should not be any cracks / separations along the seams. Follow the roof edges looking for loose / displaced pieces of trim, rotten soffit, and fascia. If you have a tall house and / or low pitch roof, it might not be possible to get a good observation angle even with the binoculars. In such case, you’ll need a professional roofing contractor to perform this evaluation, and if necessary, proceed with asphalt shingle roof maintenance / repairs… unless you feel 100% capable of doing it yourself. 2. check Ladder safety guidelines. It’s sometimes very painful not to follow the basics of safety. read the Ladder safety guidelines again! 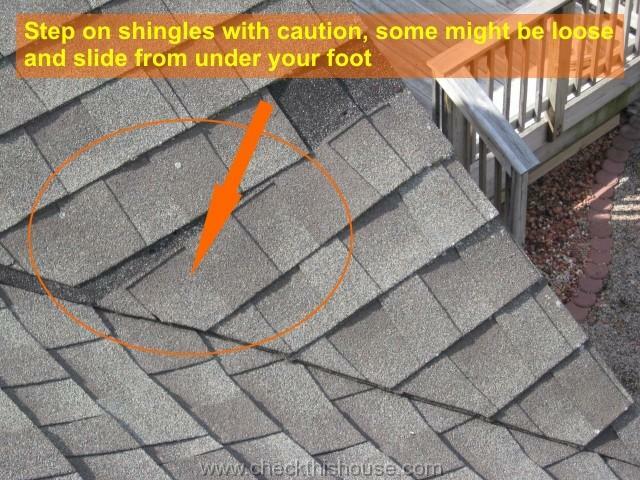 Some of the asphalt shingles might be loose, improperly secured, and even if they look OK, might slide out from under your foot – be extremely careful / watch your step – feel the area before you fully shift your body weight onto your foot. 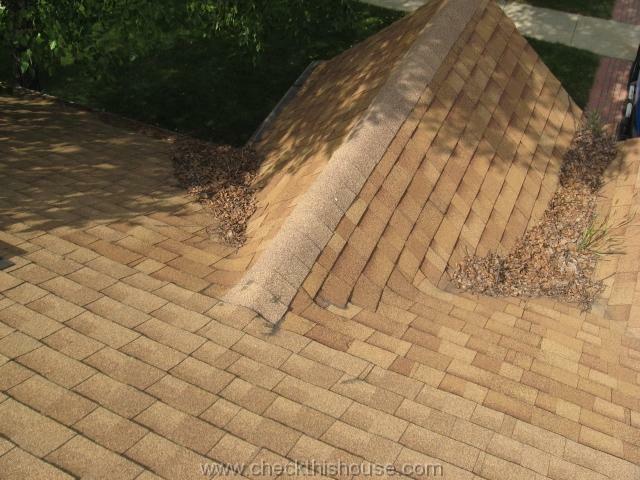 Loose shingles are common on multi-layer asphalt shingle roofs where the installer used shorter than required roofing nails – they need to penetrate old shingles layer(s) and the roof decking. 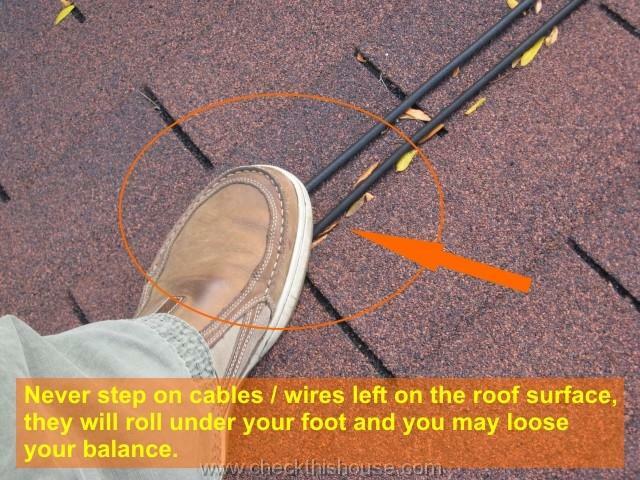 Never step on cables / wires left on the roof surface, they will roll under your foot and you may loose your balance. If your asphalt shingle roof looks suspicious / uneven, heavily deteriorated, it is wet, frost / ice / snow covered, or appears too steep – don’t step on it! Stay away from the roof edges, especially along the gutters – decking surface might be rotten and won’t support your body weight. So, you’ve noticed some problems on your asphalt shingle roof surface, checked the attic / house ceilings for water damage, and learned the ladder safety abc’s. Now it’s time to perform repairs if necessary and put a check-mark next to your house roof asphalt shingles maintenance entry.